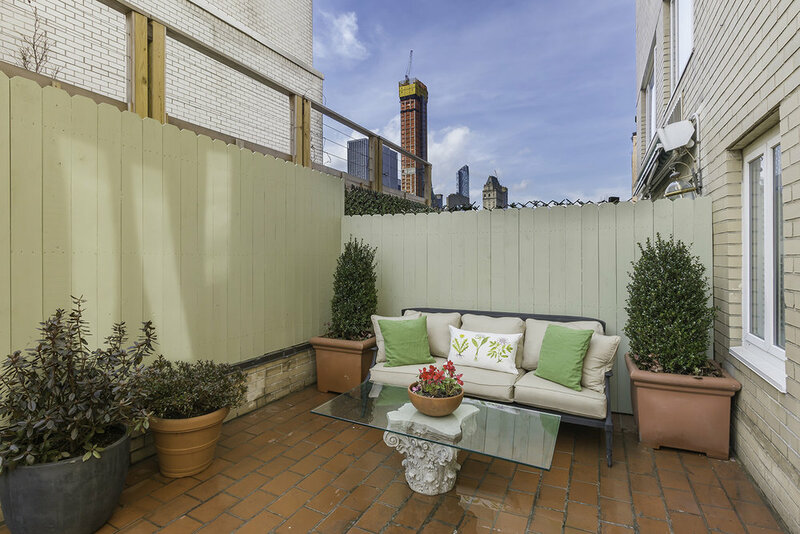 A mid-winter request to spruce up two terraces for this motivated seller's new listing was a challenge we swiftly met. Within a week we removed old and added new fences on 3 perimeter walls. 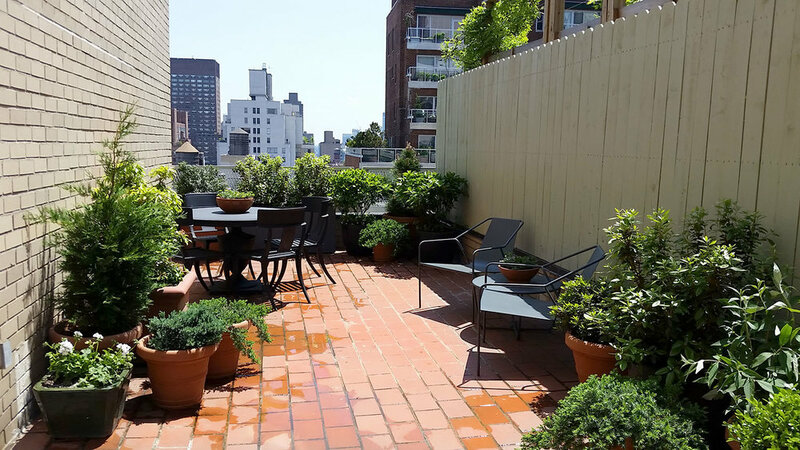 Gray and terra-cotta finish planters were added and prepared for a variety of evergreens including black pine, rhododendron, ilex, aucuba, azaelea, andromeda, juniper, cypress, boxwood and winter blooming perennial hellebore. 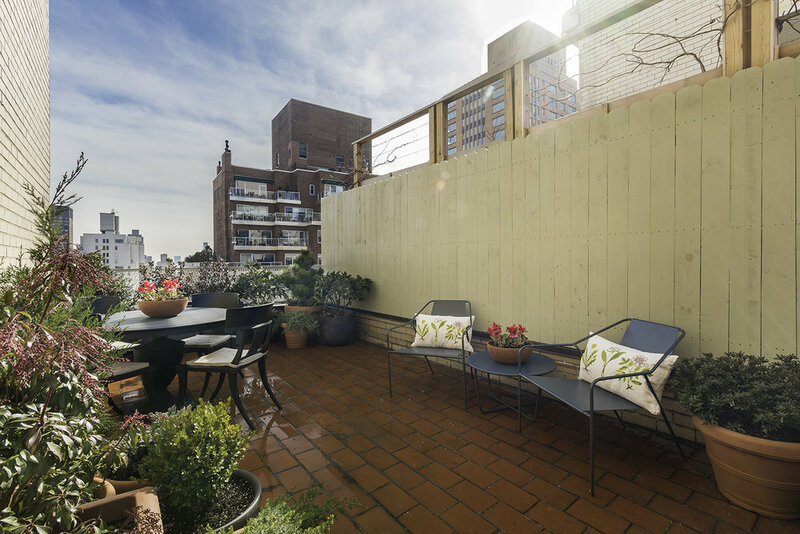 Adding a few new lounge chairs, a table and a chaise made the terraces photo-ready quickly with the assistance of exceptionally mild weather and sunshine.